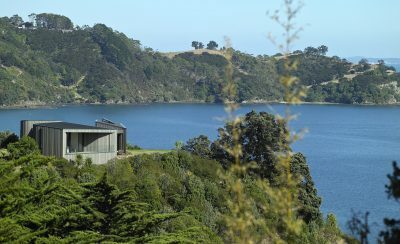 The house sits on a postage stamp sized site on Waiake Beach on Auckland’s North Shore. It is a home for two artists, a sculptor and a painter. The form of the building has a raw sculptural quality constructed from cast concrete panels with a rock-like faceted geometry. A random constellation of square cut-out windows allow natural light to filter into the interior spaces, and create a distinctive look to the exterior. The house is compact in size and robust in its materiality. 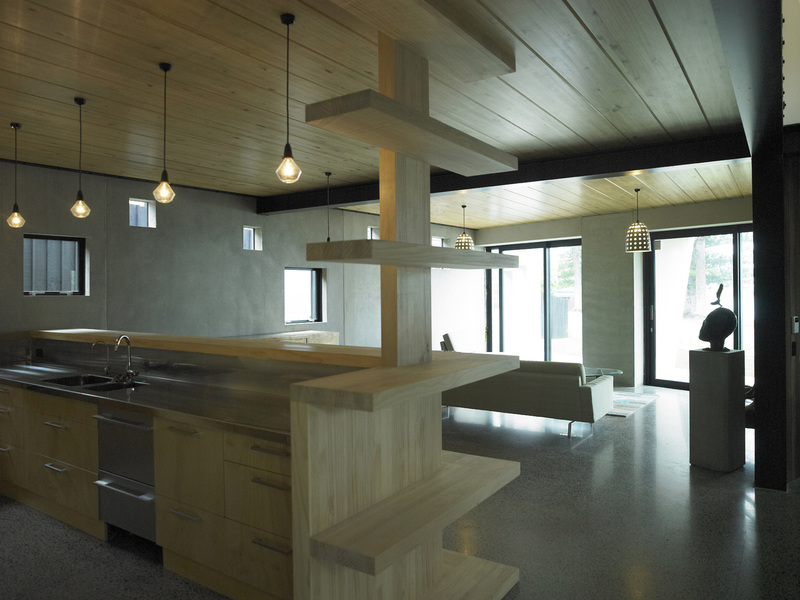 Concrete, timber and steel are unadorned and the construction details are direct and expressed. We aimed to create a home with a strong sense of protection but also a sense spatial delight for its inhabitants.